Pre-Owned Watch. 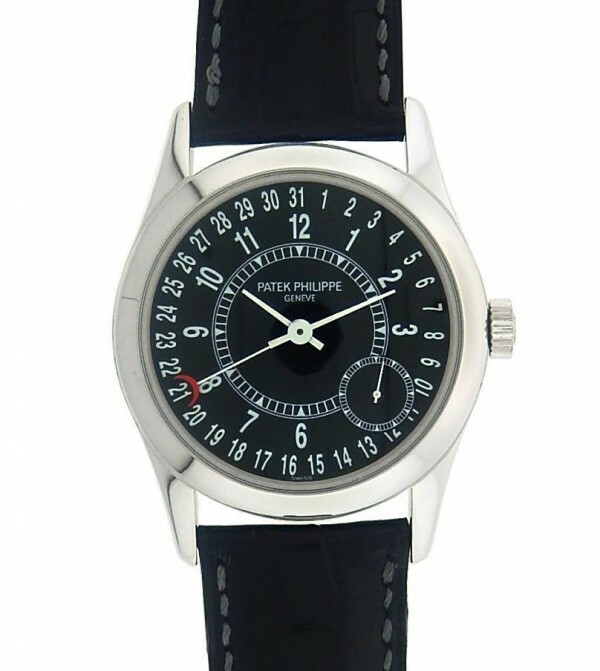 Own this beautiful Patek Philippe Calatrava watch and enjoy its 18k White Gold case with black leather strap. Watch has Subdial for second hand for 4 O Clock. Watch does not come with box and papers. Wear it in great health. 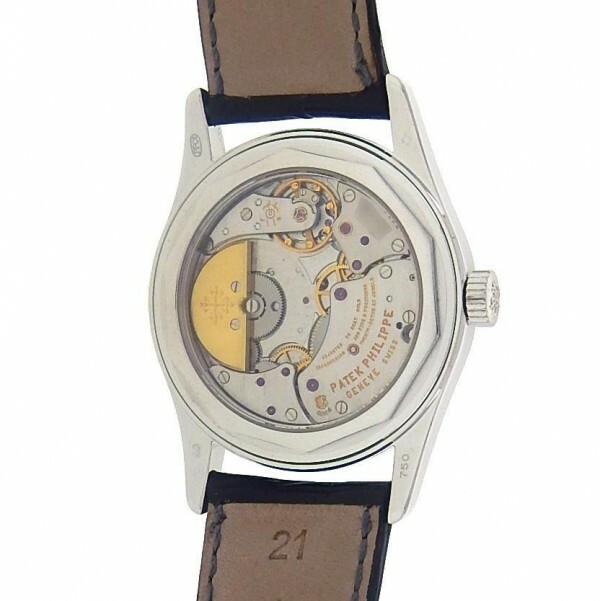 Original Patek Philippe 6000 White Gold Automatic complicated dress watch. 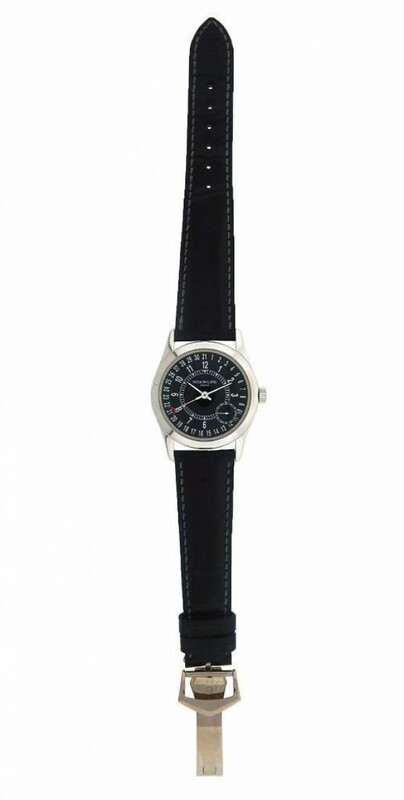 The watch is in excellent like new condition with absolutely no sorts of defects. The overall condition is perfect, the movement is flawless and always keeps perfect time.